Nikkei has published another interview with Nintendo president Satoru Iwata, this time in English. Iwata spoke about Nintendo’s poor financial performance as of late, those who are concerned about the company’s business operations going forward, and more. 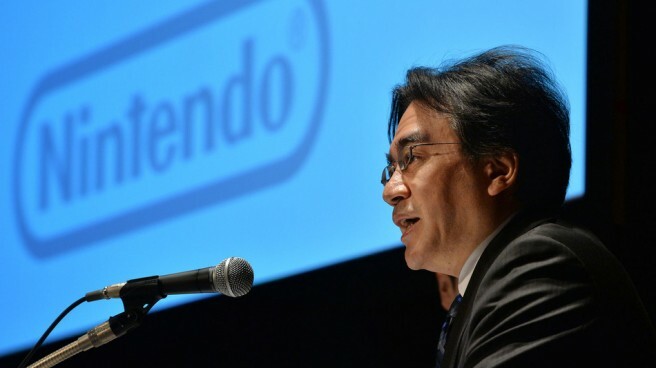 Iwata also mentioned the need to “abandon old assumptions about our businesses”. This includes M&As (mergers and acquisitions), he said. Head past the break for Iwata’s comments in full. Nintendo has undergone continuous changes over years, moving from Hanafuda playing cards to video games, and offering newer systems like the Wii. But we’ve been preoccupied with a fixed idea of what a game should be like. The game industry is at a turning point amid new developments like the rise of smartphones. Mr. Yamauchi (former President Hiroshi Yamauchi) often said “Shitsui-taizen, Tokui-reizen,” meaning that we should act regally when things are bad, and be calm when things are going well.” Were he alive now, he would tell me to carry an air of confidence. We built up cash reserves when earnings were strong. Because the entertainment industry ebbs and flows in wild swings, Mr. Yamauchi insisted it is vital to have deep pockets. Without savings, we could not have recovered from a single failure in game systems. Even now, we can afford many options because of our robust financial standing. We’ll change the way we sell products, by managing customer information via the Internet. We’ll offer discounts to steady, regular customers. We’ll cultivate emerging markets and launch new businesses in health and other areas. In an emerging country, you can expand the user base only after you offer a product line different from advanced economies in pricing. We should abandon old assumptions about our businesses. We are considering M&As (mergers and acquisitions) as an option. For this reason, we’ll step up share buybacks. Quarterly earnings reporting is not a good fit for Nintendo. We don’t know in advance how much of a hit a product can be. Even when we make plans thinking that a goal is reachable, sometimes things don’t go well and this ends up upsetting (shareholders). But it is thanks to the stock market that Nintendo has grown to what it is today. I don’t want to turn to a management buyout just because we are inconvenienced now.